Methi seeds for hair care, is the topics for today’s article. Fenugreek Seeds or Methi seeds! You may not like them, but those seeds are loaded with so, many benefits for your hair. Yes, they are! You may already aware about the fact that many people just swear by the fenugreek seeds for hair growth. Exactly! This is what this article is all about. I will be sharing tips to grow your hair using methi seeds as we popularly call this in India. 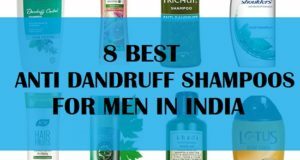 So, the post will cover the topics like what is does for your hair and how you can incorporate fenugreek seeds in your hair care regimen to get good hair growth and freedom from hair problems. The seeds are simply wonderful as they can cure your splits ends, dry damaged hair, dandruff and what not. I will also be sharing homemade oil with methi to control hair loss in men as well as women. So, keep reading folks. How Does Fenugreek Seeds Help hair Growth? 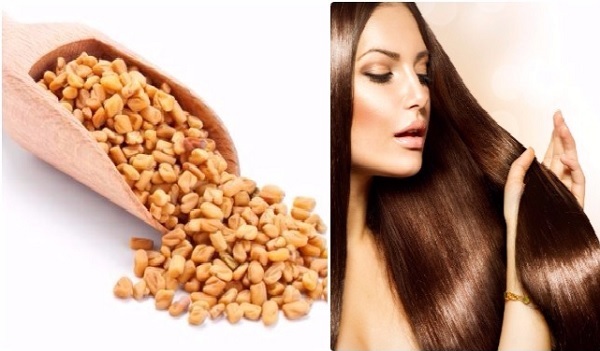 Fenugreek seeds are rich in the some of the essential vitamins that makes hair grow faster. Vitamins like A, B complex, C and K are in abundant amount in fenugreek (methi) seeds. 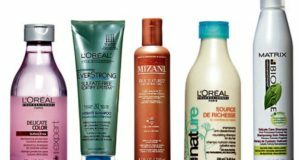 Also, the amount of proteins contribute towards stronger hair roots. 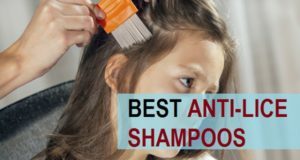 Its use makes the hair shinier and smoother. The hair which gets damaged due to UV rays, can also be treated with this ingredient. Vitamin C boost the hair cuticle texture and cleanses the scalp thoroughly. There are Fenugreek shampoos also available in the market. I will also list them in the end of the article. Other than the nutritional benefits, these seeds are appropriate for so many different benefits. Let’s get to know them and how can you reap the benefits of fenugreek seeds for hair. First of all, let me tell you two things. First is how to make fenugreek powder and second is to make its paste. Preparing these in advance once will save a lot for your time. Make sure it stays moisture proof. Put a clean dry spoon in the container so, that you can take out the required quantity whenever, you have you to do any home remedy with fenugreek powder. Just a tip: This paste can also be applied don the face for 10 minutes to get rid of the dark spots. The scalp stimulating properties of fenugreek seeds is known and researched. It can thicken the hair strands and also sprouts the new hair. Follow this simple remedy to get help in your hair loss. Methi is well known to prevent hair fall and promoting the hair growth. 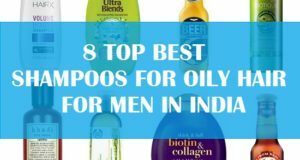 Here, I have listed some effective hair masks that are used to make the hair grow quickly and to control your hair loss. You need to pick any of the mask and try to perform it as mentioned. How long it take to give results? Methi seeds are extremely good for your hair. When you start applying methi, it take around 2 months to get positive changes in your hair health and growth. Though you can expect shine and smoothness right from the first 2-3 uses. This mask makes hair longer and increases hair thickness. Hibiscus is also known to give some benefits in hair growth. Also add 2-3 hibiscus flowers in it. With egg remedies never use hot water or lukewarm water as the egg gets coagulated and hard to get rid of from hair strands. Curry leaves and fenugreek is one of the most used combination for getting fast growth and stronger hair. It also makes the strands thick and voluminous. Castor oil is high in fatty acids and ricinoleic acid that aids in hair growth. Along with the methi, this combination becomes even more effective for growing new hair on the scalp. The treatment is also very easy to do. Mix 2 tbsp of castor oil in 1 tbsp of fenugreek powder. Fenugreek seed oil can be your one stop solution for hair loss, thinning hair and grey hair. Yes, this powerful oil has all the ingredients that can give you longer and thicker hair. You just have to make it one time and use for a month. Apply everyday on the scalp and wash in the morning. This treatment will nourish and hair and helps them to get straight. It also reverses the damage by chemical and dyes that you apply on the hair. Repeat twice in week, if possible for better outcome. Controlling hair fall is crucial s excessive hair loss can lead to baldness and low hair volume. To combat that you can get help from this herbal remedy. It is stated that Fenugreek seeds stops hair fall and prevent the hair thinning. 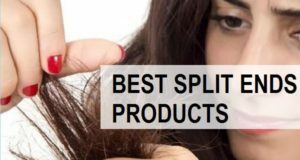 Oily scalp is also one of the causes of hair shedding. Your hair roots gets weaker due to excessive oiliness of the scalp. You can control and get rid of the sebum on the scalp by this simple treatment. Fenugreek is effective for oily hair. Fenugreek seeds are very moisturizing and have fatty acids that hydrates the dry hair. if you have dry scalp then this remedy can help you moisturize it. It is a good moisturizer for hair. Hair loss because of the dandruff is other things that even the teenagers can lose hair. It embarrasses us and reduces the hair health. These seeds work like a charm damaged hair. Aloe vera gel is highly moisturizing for damaged hair. It seals the cuticle with fresh moisture and your hair gets less tangled. It neutralizes the damage and makes hair shiniier again. This is an effective treatment to get all your dry hair ends get fully conditioned. 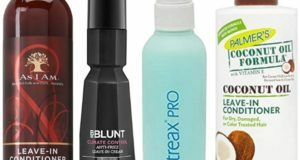 This hair conditioner remedy is easy and quick to do. When your hair is curly and frizzy then too you can take help from the fenugreek seeds. The seeds have moisturizing properties that aids in the hydration of dry hairs strands. It smoothen the frizz and curls. DHT or Dihydrotestesterone is a hormone that has been linked to the male androgenic alopecia. In short, this hormone leads to the shedding of the hair strands, never to grow again. Hence blocking this hormone is the solution to baldness in men and women. This also leads to hair thinning and getting patches of eroded hair. Fenugreek aids in inhibiting the production of 5α-reductase enzyme. This enzyme is the catalyst for the synthetics of the DHT. Blocking the excessive DHT is the method that is commonly used to treat male pattern baldness and female hair loss. You can apply the fenugreek powder as mentioned above to block the DHT. Applying fenugreek on the hair and scalp does not have any side effects. Thought doing a patch test before suing and new remedy would be correct. Just take the blend or mix near your ear and leave for 10 minutes, if there is no irritation, burning or itching then you may go ahead and use the treatment on your head, else, leave it. So, these are the benefits of fenugreek of hair. Now you know how to use fenugreek seeds for hair growth and managing other hair related problems. Have you ever used methi for your hair? How? Do tell me as well.